Mousepads are an often overlooked piece of gaming equipment. They’re not necessarily the most important piece of equipment, but a decent pad will definitely improve your gaming experience and performance. Much like other peripherals mousepads have their own characteristics; one pad will feel faster than the other, for example. It’s up to you to find out what you are looking for in a pad, but in order to help you on your way we’re going to be reviewing a variety of pads. The Zowie G-SR is the first pad that’s featured in our upcoming lineup of pad reviews since it’s one of the most commonly used pads out there. 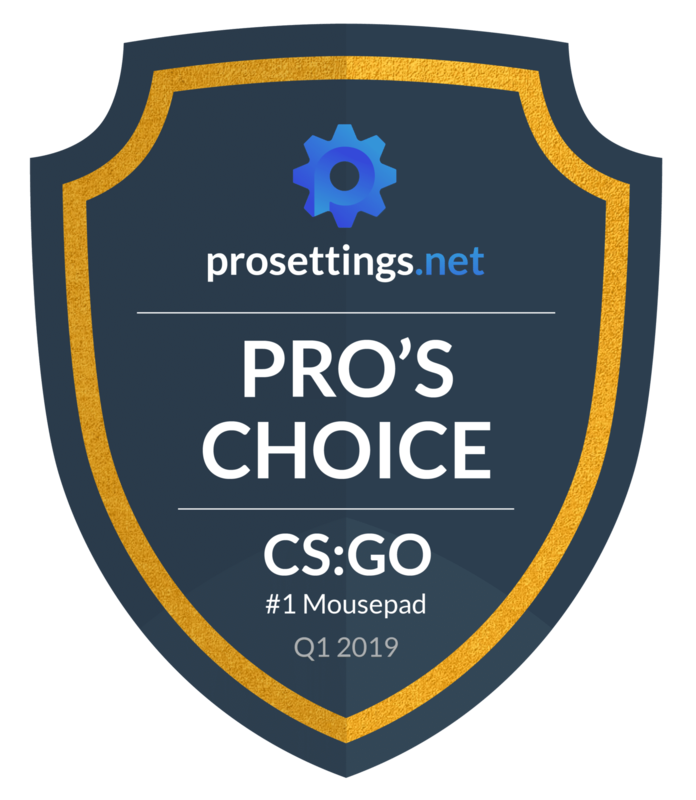 Read on to find out how our reviewer liked the Zowie G-SR.
Finding a mousepad that suits you and your playstyle can really enhance your overall gaming experience. 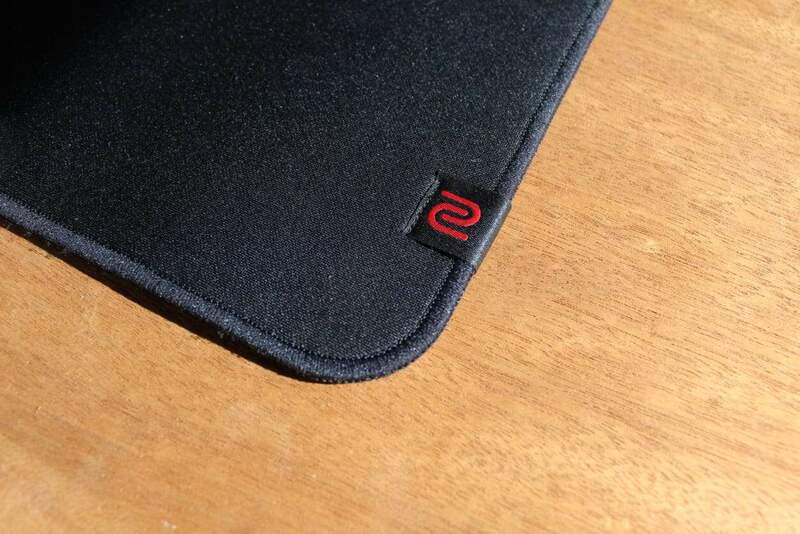 The Zowie G-SR is a relatively thin and large sized mousepad. It’s a lot wider than it is ‘high’ so the G-SR (as a logical consequence) is more rectangular than some other mousepads out there. That’s neither positive nor is it negative, but it’s an observation. There’s plenty of room for low sens gamers in all directions though, and if you don’t need all this real estate you can go for the Zowie P-SR which is the same pad in a smaller form factor. Straight out of the box (the G-SR comes rolled up in the package) I almost felt worried that the pad wouldn’t stay where I put it due to it not immediately laying flat on my desk and the pad being so light. Once it’s ‘broken in’ and laying completely flat it’s almost impossible (everything is possible if you just try) to get it to move though, which is a sign that the rubber base is doing its job perfectly. I never had an issue with the pad slipping away or otherwise doing stuff it shouldn’t be doing. The G-SR isn’t the thickest pad out there, so if you’re playing on a massively uneven surface you might encounter some issues, but it’s thick enough to cover up small imperfections on the playing surface that you would normally encounter when playing in most conditions. Zowie has always made a point out of not adding any unnecessary drivel to their products, and although they have released some rather ‘gamer-y’ mousepads in the past the G-SR would not look out of place in a more formal setting. 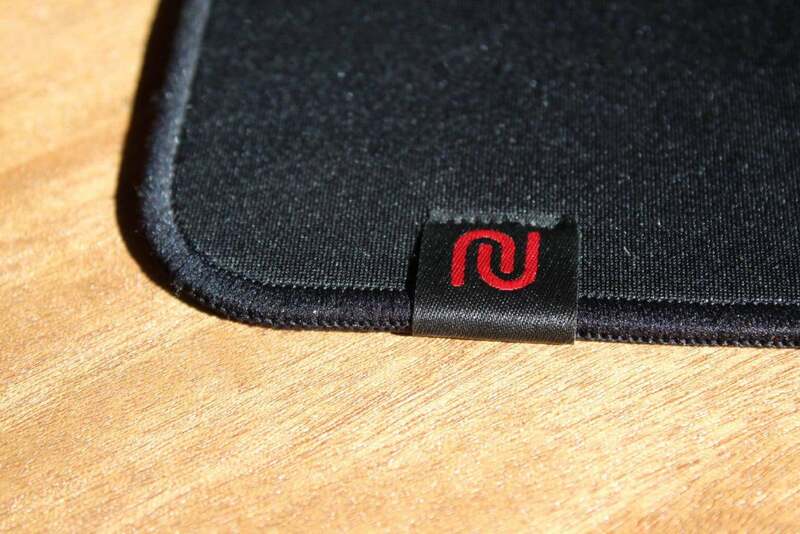 The pad has stitched edges and is finished with a small stitched on Zowie logo on the side of the pad. That logo does technically interfere with gameplay if you glide your mouse over it, but if it comes to the point that this becomes a problem ingame then you were probably going to get fragged either way, so this is a non-issue really. It needs to be said that the materials and the finishing on the Zowie G-SR are top notch. I’ve been using this pad for the past couple of months and it doesn’t look a day older compared to when I first got it. I play on a rather low sensitivity, so I’m often doing big and fast sweeps and what I found was that the G-SR felt rather controlling. That is not an issue at all, since the speed of a mousepad is mostly personal preference, but it’s something to note regardless. The G-SR has a remarkable amount of stopping power, so if you tend to overshoot your targets or want to get a bit more control you should definitely take a look at the G-SR. If you want a very fast and speedy glide this one should probably be a hard pass though. Speaking of glide: even though the G-SR feels pretty ‘controlling’ (which is in part due to the pretty wide texturing, you can click the image to the right to see a closeup) it has to be said that it glides smoothly everywhere. There are no inconsistencies in tracking or performance, and the dozen or so mice that I used to test the tracking performance of this pad all performed perfectly as they should. One small negative thing to note is that this pad tends to lose its initial feeling pretty quickly when compared to other pads. I found that it needed a wash after about 1.5 months of medium usage (which means some hours of work and an hour or two of gaming each day in this case, so your mileage may vary) because the accumulated dust, sweat, and what have you managed to influence the glide on the pad. A thorough washing will largely fix this, so this isn’t a massive issue, but if you live in a dusty environment or something like that you may want to take note. 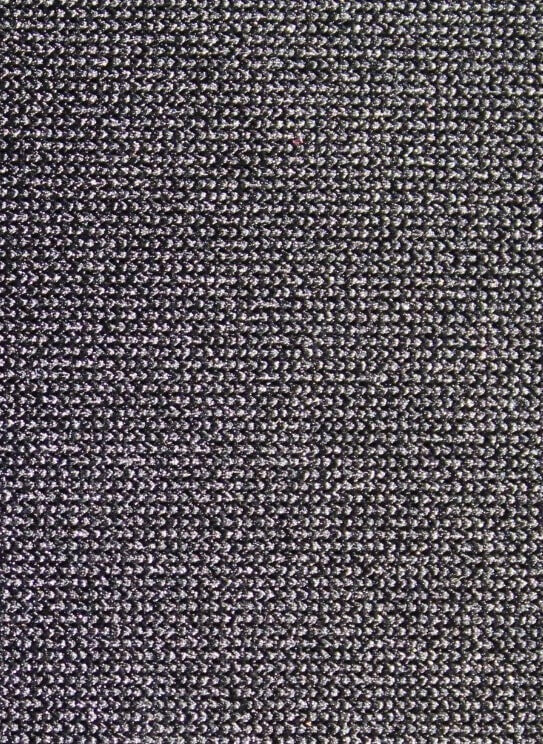 The G-SR's texture in closeup. The Zowie G-SR is a premium large sized pad which offers a very smooth, though very controlled glide with plenty of stopping power. It’s finished with high quality stitched edges so it’s going to be plenty durable as well as extremely comfortable due to the quality of the stitching. You’re going to need to wash it quite often, however, since the accumulation of dust, sweat, and so on affect the glide of the pad in a pretty large way. That’s not a big deal, but it is something to take note of. Concluding: the G-SR is a relatively thin and large sized control pad which does what it sets out to do perfectly. Everything about it feels very premium, and the stylish and timeless design provide perfect performance. If you want a fast pad you’re better off skipping this one, but if you’re looking for a little more control I can only recommend the G-SR. Thanks for the kind words! 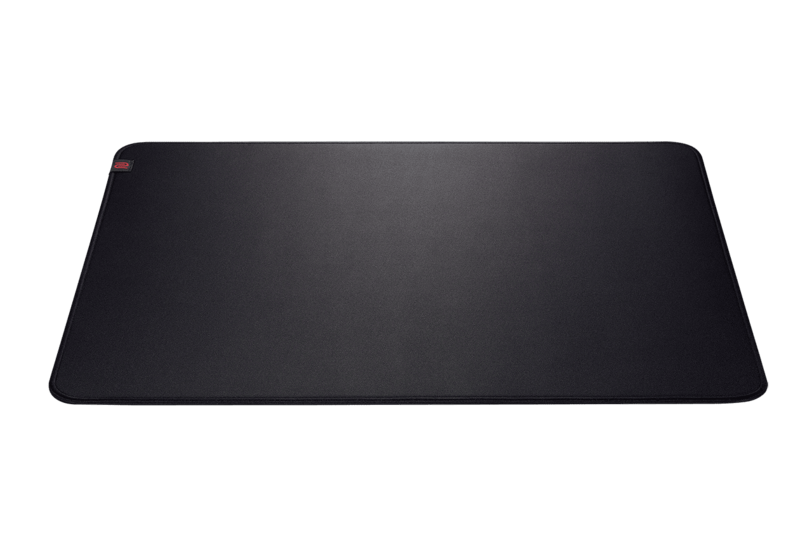 We’ve got some other mousepad reviews in the pipeline and the G640 is definitely one of those, so stay tuned! Also look into the TSM version, which has stitched edges! I read that after a while of use it becomes fantagous is it true? It’s really up to taste, they’re both great pads. The G-SR has a more premium finish with the stitched edges (and will last you longer because of that) but it requires a wash a little more often. Aside from that the G-SR has a way more controlled glide, whereas the QcK has a faster glide in my opinion. In short: QcK = speedier gliding, G-SR = more controlled gliding. I find myself switching between the two depending on what mouse I’m using, but for the EC2-B the G-SR would be a great pairing, in my opinion. how i should wash it? Hi, I just bought the zowie g-sr and I really like it, I accompany it with my logitech g203, according to your experience I currently use 400 dpi and 2.7 sensitivity in how I should increase or decrease it, because I only use half of the mouse pad, no I am someone who makes long movements. Sensitivity is definitely down to personal preference. If you feel like your aim could be more consistent you can definitely go a lot lower though since your sensitivity is on the higher end. Thanks for the review, it was really helpful. Do you think that the g-sr would go well with my g703?? Yup, it should if you like grippier pads! What do you recommend, Zowie gsr or Qck Heavy Or the Hyperx Fury S? All I play is Fortnite. Also which one would last longer? Depends on how high your sensitivity is. I personally feel like the QcK Heavy gives you the most ‘runtime’ without needing a wash, but obviously the G-SR and Fury S will last longer in the long run due to their stitched edges. SteelSeries QcK then, in my opinion. 400 dpi and .12 in Fortnite, what would you recommend? I am an arm player but I don’t think that matters. Yes, the Zowie G-SR has a good size for your sensitivity settings. What about GTF-X Have you tryed that one? Not yet unfortunately. But we will soon! The Zowie G-SR should be good for you if you like a bit of control while gaming. Well, the Zowie G-SR and Goliathus Speed are both great pads, but they’re also very different. Do you feel like you’re not completely satisfied with the Goliathus? If you aren’t then feel free to tell me what you’re looking for in a pad, and I’d be happy to help you select one. Regarding your question; I wouldn’t really say the G-SR is an upgrade, per se. Both are great pads, but they’re very different as well. The G-SR is much more controlling whereas the Goliathus Speed is, well… Much faster. It’s all down to preference, so one isn’t necessarily an upgrade over the other. Good review, also i want to say that i got my g-sr-se red editon couple of days ago and it lost the feeling in tracking just after one day of usage. Does washing it with a wet wipe will affect its material or i shouldn’t worry about that? Hello, is there any difference between the black gsr and the new versions of divine, apart from the color? There isn’t a difference between the regular G-SR-SE and the Divina version, however you should note that the Divinas are all SE versions, so there will be a difference between a regular G-SR (non-SE) and a Divina pad. trembled.so I am using p-sr but p-sr is very small for me. I want to buy new mousepad.I thought G-sr(black) and G-sr-se were good. Which one is good for me? Pro is starting to use G-sr-se. Sorry,I’m not good english. I’d say to get the G-SR-SE. If you mean that your aim was floaty and ‘all over the place’ by trembling I would recommend the regular G-SR.